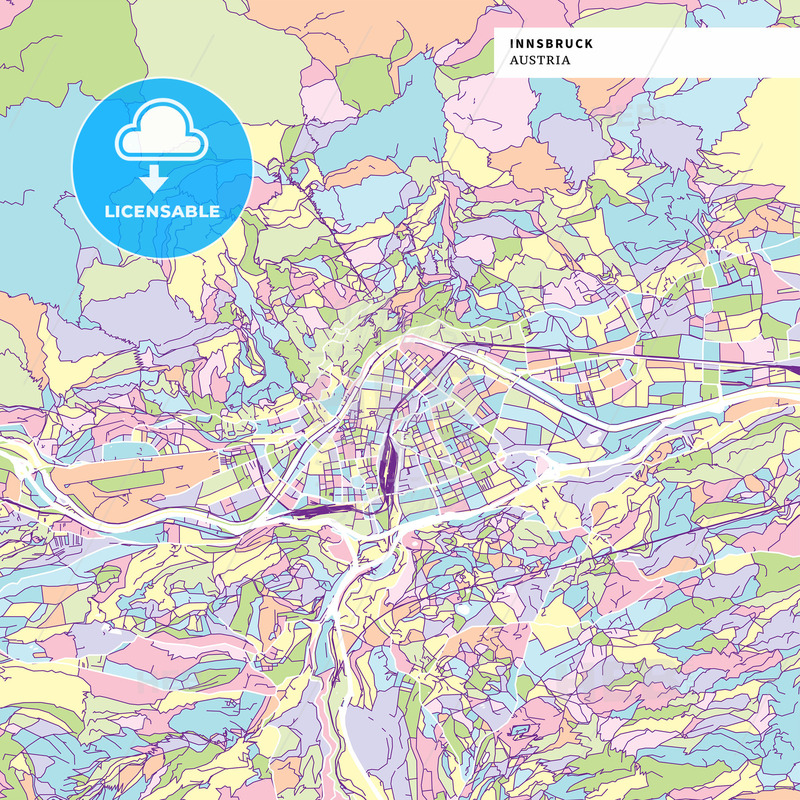 Colorful map of Innsbruck, Austria. Background version for infographic and marketing projects. This map of Innsbruck, contains typical landmarks with streets, waterways and railways.